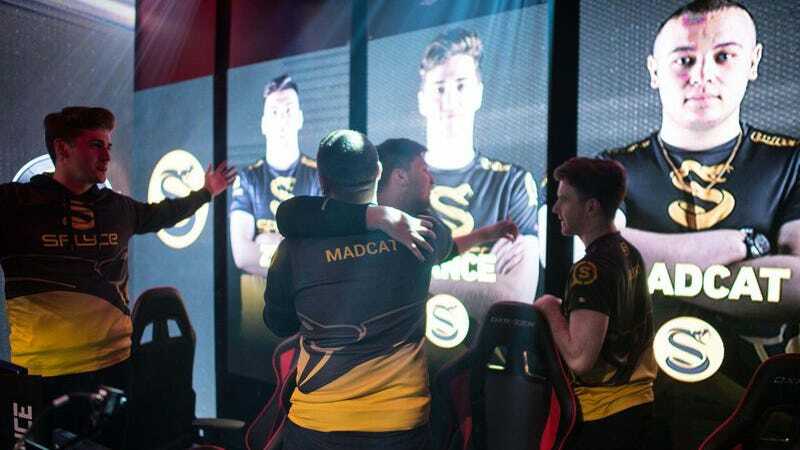 A competitive Call of Duty team made history over the weekend by becoming the first European team to win a major tournament on U.S. soil. Call of Duty pro teams had battled for four weeks to earn a spot in Infinite Warfare’s CWL Global Pro League Stage One Playoffs. The top 16 teams were pared down to 8 for this weekend’s matches in Columbus, Ohio for a share of a $500,000 prize pool. Of the eight teams in the Playoffs, the U.K. and Irish team Splyce was the last European team standing, and they took the fight all the way to the Grand Finals on Sunday, May 28. Team members Trei “Zer0” Morris, Jordan “Jurd” Crowley, Dylan “MadCat” Daly, and Ben “Bance” Bance faced off against Luminosity Gaming, who were considered underdogs for the event but played exceptionally well over the weekend. Luminosity put up a huge fight, but Splyce took the series 3-2. Splyce’s first place win netted them $212,500 and the title of the new champs of Infinite Warfare. Trei “Zer0” Morris also made history as the first-ever European MVP of a North American tournament. The next major Infinite Warfare eSports action will take place at the CWL Anaheim Open, from June 16-18.